During the unrest and confusion of pre-Revolution Texas and the establishment of a new and independent republic, the capital of the Republic of Texas shifted locations several times, from San Felipe de Austin, the capital of Stephen F. Austin�s original colony, to the present-day capital city of Austin, a town created for the sole purpose of serving as the Republic�s seat of government. In between these historic sites, Washington-on-the-Brazos, Harrisburg, Galveston Island, Velasco, Columbia and Houston all held the distinction of the being the Republic�s lead city, if only for a brief moment. San Felipe de Austin was founded in 1824, near the site of John McFarland�s ferry where the Atascosito Road connecting San Antonio and Louisiana crossed the Brazos River. 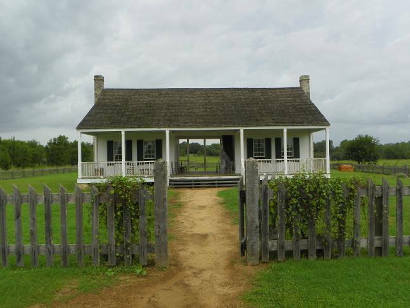 By 1835, San Felipe had become the second largest town in colonial Texas with a population of around 600. Stores offering merchandise imported from the United States and inns and taverns providing lodging and meals offered travelers their only respite across a wide wilderness that stretched from Nacogdoches to San Antonio. In 1829, one of the colony�s first newspapers, the Texas Gazette, began publication in San Felipe. The newspaper published the first book ever printed in Texas. San Felipe was also the center of political activity during the events leading to the Revolution. The �People of Texas� met in session there three times to protest Mexican policies and eventually consider breaking free of Mexico; first at the Conventions of 1832 and 1833 and finally at the Consultation of 1835. San Felipe also played a key military role in the Revolution. After the disaster at the Alamo, Santa Anna ordered his armies to converge on San Felipe. The Texas army commanded by Sam Houston retreated from Gonzales to San Felipe as the Texas settlers fled east in what became known as the �Runaway Scrape.� On March 29, 1836, Houston ordered San Felipe put to the torch to deny Santa Anna�s army a source of supply. McFarland�s ferry was also destroyed. Unable to cross the Brazos River, Santa Anna was forced to turn southeast toward the fate that awaited him at San Jacinto. Many of San Felipe�s colonial residents failed to return to the area after the Revolution, and the town never regained the prominence it had once held prior to its destruction. With the formation of Austin County and San Felipe�s designation as the county seat, the town at least remained a center of local government for a time. However, the Texas government did not return, and within a decade the county seat was moved to Bellville. San Felipe remained a small rural community well into the Twentieth Century, taking more than 150 years to regain the population it had held prior to the Revolution. 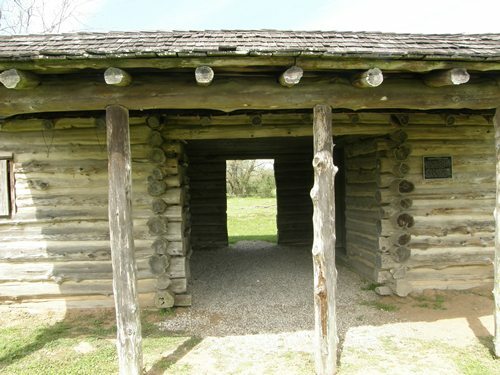 On March 1, 1836, the scene of the capital shifted once again to Washington-on-the-Brazos. There the Convention of 1836 met and adopted the Texas Declaration of Independence on March 2. 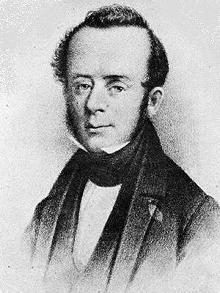 The delegates also wrote a Constitution and selected an ad interim government headed by President David G. Burnett. The Convention adjourned on March 17 when a report reached town that Mexican cavalry had occupied Bastrop only 60 miles distant. The news created panic. In the words of one distraught delegate, the Texans were �hourly exposed to attack and capture, and perhaps death.� The newly created provisional government soon packed up and fled 70 miles eastward to the new site of Harrisburg located on Buffalo Bayou. For the next three weeks the Mexicans continued in hot pursuit and the capital of the Republic was anywhere that President Burnet happened to hang his hat. On April 14, Santa Anna reached Harrisburg only to find that Burnet and his government had escaped the previous morning on the steamer Cayuga. The steamer headed down Buffalo Bayou to the San Jacinto River and the town of New Washington on Galveston Bay. The water route to New Washington followed many twists and turns, but the town was only twenty miles distant by land, so Santa Anna immediately dispatched a troop of dragoons in hopes of capturing Burnet. The Dragoons arrived in time to see the President and his fledgling government escape by rowboat to a schooner that would take them to Galveston Island the next stop on the capital carousel. President Burnet soon moved the capital to Velasco where he negotiated with General Santa Anna who had been captured by Sam Houston at the Battle of San Jacinto. The negotiations produced two treaties, one public and one secret. The capital remained in Velasco until October when Burnet declared the small Brazoria County town of Columbia the capital city. The newly elected Texas legislature met there for the first time on October 3, 1836, however many Texans complained that Columbia was too small and isolated to serve as the capital. They demanded a new location, and John and Augustus Allen provided an answer to the dilemma. The Allen brothers arrived in Texas from New York in 1832. John was young, bright and fresh and soon became an influential Texas senator. The dour Augustus was a bookkeeper who provided the partnership with financial expertise. In 1836, the brothers acquired a tract of land on Buffalo Bayou not far from the former town of Harrisburg which had been burned in the Revolution. They named the site in honor Sam Houston in hopes of gaining his support in the search for a new capital. The Allen brothers promoted their town by declaring �Houston is located to command the trade of the largest and richest portion of Texas.� As an incentive, the Allen�s offered to build a new capital building to house the government at their expense. The offer was too good for Congress to turn down. Unfortunately, the spread of disease was inevitable with so many people crowded together in an area without adequate sanitary facilities. People initially fell sick from drinking foul water straight from the bayou, but that problem was solved when Congress invested $500 in the construction of cypress cisterns to collect fresh rainwater. The city�s founder John Allen died in 1838 of what was most likely yellow fever and 240 citizens perished in an epidemic the following year. In spite of the problems, all was not darkness. There were also encouraging signs of stability. The first school opened in 1839, quickly followed by the first theater, a jail and a courthouse. Organizations like the Chamber of Commerce and a local chapter of the Masonic Lodge also sprang up. However, just as conditions were beginning to improve, Congress began to speak of moving the capital again. The speculation that a new capital was in the offing was not without cause. Houston�s marshy location on Buffalo Bayou, the nearly unbearable summer humidity, the presence of yellow fever and other disease and the inadequate accommodations were all ample reasons for complaint. Though many alternative sites were discussed, one location in particular impressed Mirabeau Lamar the Republic�s new president. He had first seen the site on a bend in the Colorado River a few years before during a buffalo hunt. Lamar not only admired the location for its scenic beauty, but also for its healthy climate. He recommended the site to a five-man commission appointed for the purpose of selecting a new capital, and after an appraisal, the commission approved his recommendation. The opponents of the new site complained that it lay too far to the northwest in the �middle of nowhere.� In addition, they protested that the location bordered on the Comancheria and would require constant defense from the dreaded Comanches. The protests were also joined by the citizens of Houston, who were worried that their city would wither on the vine if it lost the prestige of being the capital. However in spite of the protests, Congress voted to approve the new location and named it Austin in honor of the �Father of his Country,� Stephen F. Austin. 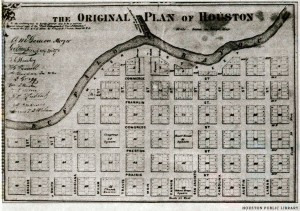 The government then demonstrated that it had learned a lesson from the mistakes made at Houston by appointing Edwin Waller to take charge of developing the new capital. Waller, a signature of the Declaration of Independence, was born in Spotsylvania County, Virginia on November 4, 1800. He represented Columbia at the Consultation of 1835 and served as a delegate from Brazoria to the Convention of 1836. As a member of the convention, he served on the committee that framed the Republic�s Constitution. Determined to develop a town the Republic would be proud to call its capital, Waller proceeded with honesty, foresight and meticulous care. Under his supervision, a team of surveyors led by L. J. Pilie and Charles Schoolfield carefully laid out a town on the north bank of the Colorado River that was divided by a broad central boulevard named Congress Avenue and bordered by Waller Creek on the east and Shoal Creek on the west. The thoughtful design would allow Austin to expand gracefully, unlike the helter-skelter sprawl that had hampered Houston. Waller also sold 306 choice building lots at auction for the benefit of the Republic of Texas instead of some greedy speculator. Construction on the capital began in May1839. The first thing Waller did was build an eight foot stockade to surround the one-story frame capitol building set back from Congress Avenue on a hill at what is now the corner of Colorado and Eighth streets. Comanches were known to roam the streets at night and every now and then a careless citizen would lose their hair. A local politician reported that �You were pretty sure to find a congressman in his boarding house after sundown.� The site had been incorporated in1839 under the name of Waterloo, but shortly thereafter the name was officially changed to Austin. By 1840, the capital was beginning to spread outward from Congress Avenue and the 856 residents of the city elected Edwin Waller to the office of mayor for the valuable services he had rendered. Unfortunately, the city of Austin had a very influential enemy, Sam Houston. Houston often described the new capital as �the most unfortunate site on earth for a seat of government.� When he was reelected to the presidency in 1841, he refused to move into the official residence, preferring instead to take a room at a boarding house run by Mrs. Angelina Eberly. Then in February 1842, Houston saw his chance to return the capital to his namesake. A Mexican force of 1000 troops under the command of General Raphael Vasquez invaded Texas and occupied San Antonio. Fear quickly spread that the troops would soon move on the capital, and the President, arguing that the city was defenseless against attack, ordered a special session of Congress to meet in Houston. He also ordered the secretary of state to remove the government archives to Houston. 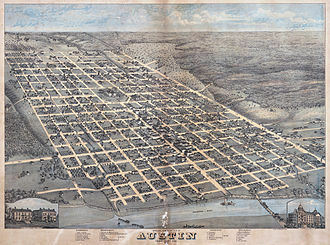 Knowing that as long as the government archives remained in Austin the city would be recognized as the official capital, the citizens of Austin banded together, formed a vigilante �Committee of Safety� and warned the government officials who remained in the capital that any attempt to remove the archives would be met with armed resistance. When his attempt to revive Houston as the capital failed, Sam Houston compromised by ordering Congress to meet at Washington-on-the-Brazos where the Declaration of Independence had been signed in 1836. After the government was established, Houston sent Captain William Pettus to collect the archives, but when Pettus rode into Austin, the vigilantes lopped the mane and tail off his horse and sent him back to Washington-on-the-Brazos empty handed. Frustrated, President Houston decided to dispatch Captain Thomas Smith to make off with the archives under the cover of darkness. Late in the evening of December 30, 1842, Mrs. Eberly, whose boarding house business would suffer if the capital was moved, spotted Captain Smith loading the archives into a wagon. She ran to the top of the hill on Congress Avenue and touched off the cannon that stood in front of the stockade surrounding the capitol building. The blast aroused the town, and an armed posse of vigilantes ran Smith down at Brushy Creek and retrieved the records. The vigilantes threatened that anyone else who tried to steal the records would be shot. The �Archives War� ended with Captain Smith�s failure, and Sam Houston made no further attempts to move the records. For the next several years, Austin had more than its share of troubles with the population declining to a modest 629. However in spite of the problems, a general election held in 1850 voted overwhelmingly for Austin to become the permanent capital of Texas. By the end of the 1850�s the population had risen to a comfortable 3,494. References for "The Capitals of Texas"
Davis, William C., Lone Star Rising, (Simon and Schuster, 2004). Fehrenbach, T.R., Lone Star: A History of Texas and the Texans, (Da Capo Press, 2000). Grisham, Noel, Crossroads at San Felipe, (Burnet, TX: Eakin Press, 1980). Humphrey, David C., Austin: An Illustrated History, (Northridge, CA: Windsor, 1985). Humphrey, David C., "AUSTIN, TX (TRAVIS COUNTY", Handbook of Texas Online (http://www.tshaonline.org/handbook/online/articles/hda03), accessed April 2, 2013. Published by the Texas State Historical Association. Jackson, Charles Christopher, "SAN FELIPE DE AUSTIN, TX", Handbook of Texas Online (http://www.tshaonline.org/handbook/online/articles/hls10), accessed April 8, 2013. Published by the Texas State Historical Association. Johnson, John G. "CAPITALS", Handbook of Texas Online (http://www.tshaonline.org/handbook/online/articles/mzc01), accessed April 8,2013. Published by the Texas State Historical Association. McComb, David G., Houston, a History, (Austin, TX: University of Texas Press, 1981). McComb, David G., "HOUSTON, TX", Handbook of Texas Online (http://www.tshaonline.org/handbook/online/articles/hdh03), accessed April 14, 2013. Published by the Texas State Historical Association.